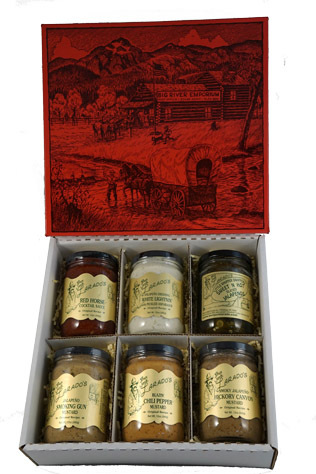 A gift set that is sure to please the cook in your family. 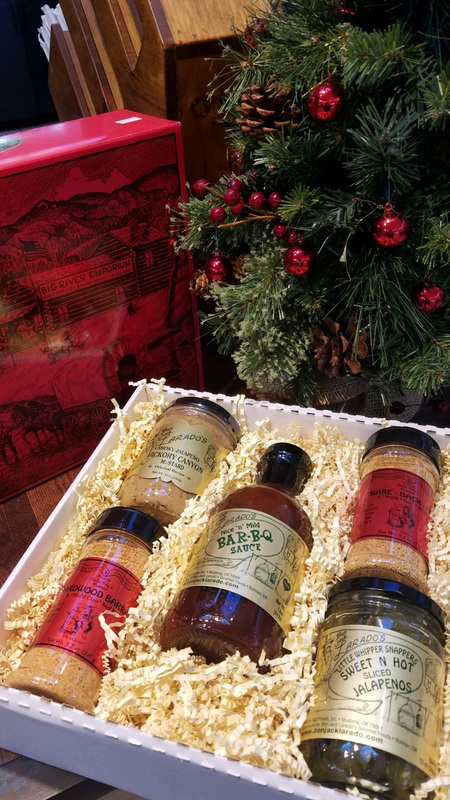 The BBQ Combo Gift Set is on sale for $27.99 (normally $32.99) It features some of our favorites: a bottle of our sweet BBQ Sauce, One jar of our Whipper snappers (candied jalapenos), 2 of our specialty seasonings: one- bare back pig dry rub that is perfect for chicken and pork and a Hardwood Barrel Beef Rub. A Hickory Canyon Mustard is also included. This gift set is offered in our exclusive Ben Jack Red Box and ships within 24 hours. It is perfect for anyone who enjoys a good BBQ..whether you are cooking in the kitchen or grilling in the backyard, this grill set creates a tasty spread. Order on line at www.benjacklarado.com. Free shipping on orders $75.00 and over.